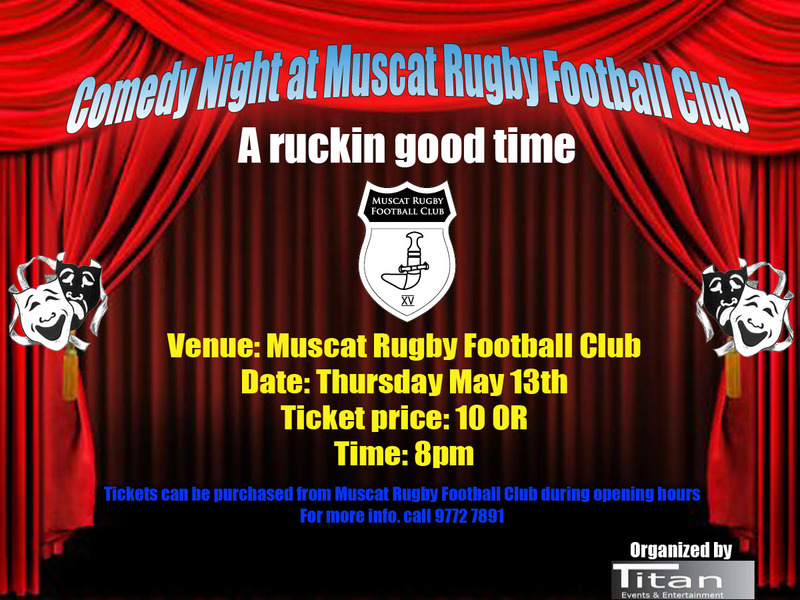 On Thursday May 13th, there will be a comedy night featuring up to a dozen comedians held at the Muscat rugby club near the ABA school in al Khuwair. There will be special offers on food and drinks, as well as a raffle for some prizes too. It's a 21+ event & no smoking inside is strictly enforced. Muscat plays in the Premier Gulf league against a host of teams from the UAE, Qatar, Bahrain and Kuwait. To travel to these games costs a lot of money (especially the non-UAE games), so please do come down and support the club so that they may continue to represent the only Omani rugby team to compete in the GCC. In the 2009 Dubai Rugby 7's tournament, Muscat won the GCC championship, a feat they hope to re-create this year.